I don’t often speak of it, but I was a seasoned bubble gum aficionado in the mid-to-late ’90s. I don’t like to brag, but I could blow bubbles that were superior to your first born. Solely in terms of girth, I mean. 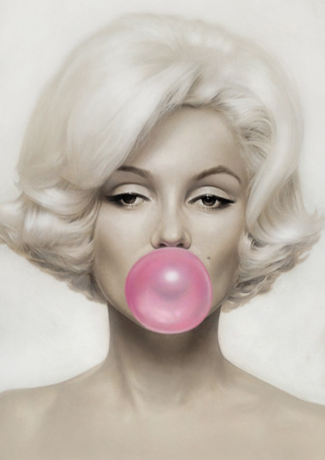 I’m not trying to insinuate that a gum bubble is more attractive than your child. That would be insane….or would it? As I artfully dodge this parental lynch mob, allow me to explain. The ’90s were a time of some heady experimentation. Bubblicious was my main squeeze. I rarely left a supermarket without tossing a pack into my parents’ basket, silently congratulating myself as they seemed not to notice the additional $3.50 (I assume) on the bill. They noticed every time. I wasn’t alone in my choices. Bubblicious was the undisputed King of the chain chewing movement. Other brands tried to hang, but they couldn’t come close to the range of flavors craved by the pre-teen palette. Sour Apple, Watermelon Wave, and Tropical Punch could always be counted on for a good time. My uncontested favorite was Cotton Candy (Chanukah is around the corner, y’all), but I could get down with anything containing Xantham. Bubble Yum, Bubble Tape and Big Red (I guess I was into gingers from an early age, who knew?) were all ripe for the chewing. 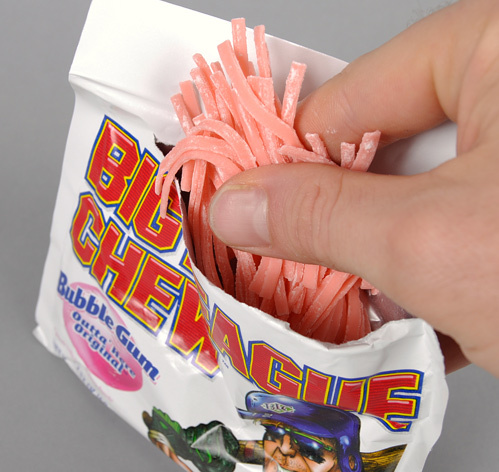 In fact, if someone waved a pack of Big League Chew in my face, I’d lower my standards and chomp that shredded sucralose into an enviable gob in a matter of moments. I’d wait in the bus line after school, casually chewing through a full pack of Cotton Candy Bubblicious within a matter of minutes, meeting my quota for daily sugar allowance while running astrological love matches on my Magic Diary. Those were simpler times. 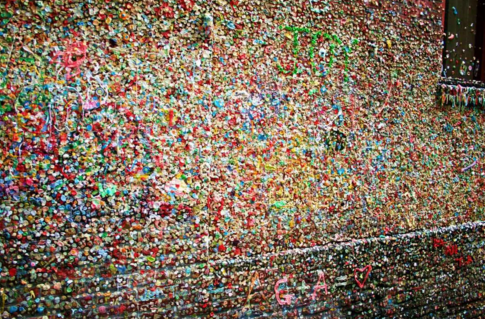 Anyways, I am just now finding out that there’s a massive gum-laden wall in Seattle. This second-germiest tourist attraction in the world (next to yo mama’s house – ohhhhhh) is getting cleaned for the first time in 20 years. Apparently the ingredients in gum are eroding the wall. Like, I’m sorry, but since when are sugar, additives and artificial colors harmful to anyone?!? More importantly, why am I just now finding out about this? My days of chewing have long passed, but I could have stuck together a veritable mosaic of gum wads back in the day. If there’s one thing I hate, it’s a missed opportunity. I’d like to virtually pour one out for my 11-year-old self. She would have loved to contribute to said wall. I’d like to hereby declare November 10th a day of mourning, for the mosaic that never was. Thanks in advance for your support in these trying times.